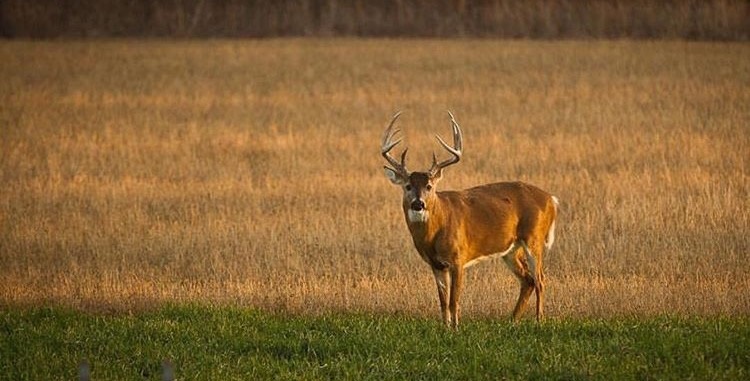 Late summer 2012 I received a call from a gentleman that was purchasing some land for deer hunting and asked if I would be a consultant for him on this property to develop it into a prime property to grow, hold and eventually harvest trophy whitetails. I agreed to work with him but stressed that from what he had told me of the background of this property that it was indeed going to be a journey and that patience and sticking to the program I would put in place would be very important. Background- The property had been hunted hard for years prior to my client purchasing it. No deer management had ever been done on this farm OR any surrounding properties. The whole area had been hunted very hard and deer numbers were at an all-time low. Neighbors had been able to hunt on the farm and he agreed that in order to manage the farm he would have to meet with the neighbors and explain that they would not be allowed to hunt on this farm anymore. I suggested that when he went around to have that discussion with his neighbors, that he share with them that he and his family were going to approach this property in a totally different fashion and that they were going to let yearlings, two year old bucks, and even many three year old bucks walk with the goal that they would be able to harvest them as they reached maturity. He was very surprised to find out that several of his neighbors were completely on board and would be willing to work on deer management along with him. This was great news…we both hoped that they would indeed pass up bucks as they said they would! I explained that we needed to focus on giving the deer in the area, FOOD, COVER, and WATER. 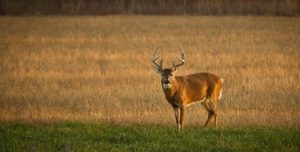 Being that he purchased the property in the early Fall, and did not have equipment to put in plots, we decided that the push for food plots would be in 2013. He was going to purchase some small equipment and had planned on dedicating at least 6 acres to food plots in 2013. The property had not been logged in many years and as a result really lacked good cover for bedding areas. I suggested he log the property and use the income for equipment and negotiate with the logger to push some more areas for food plots and to also update his road system. He contacted a forester that I knew and it worked out very well for the landowner. Logging took place the winter of 2012-2013 and the landowner was able to get over 5 acres of openings and field edges pushed by the logger AND he got his roads updated, bought some small equipment and had some money left over from the log income. In the Spring of 2013, more sunlight was able to reach the forest floor in those logged areas and between the left over tree tops, grass and berry bushes that were growing it was starting to provide much more bedding areas for deer and wildlife. Water was the 3rd concern and this fella was very fortunate. Two streams were on the property and a small pond, so he really was in pretty good shape for a continuous water source to build his “deer factory”. The family did a little bit of bow hunting in the Fall of 2012, and did hunt several days during the gun season. That Fall was pretty frustrating as the first time they were going to bow hunt, they found that the neighbor’s livestock had gotten out of their fence and spent the last week on my client’s farm. Yes, a whole week and the neighboring farmer knew that his cattle had been eating my clients crops for a whole week. This neighbor also had called my client 3 times that Fall to get permission to recover deer that they had wounded and went onto my clients farm, so needless to say they didn’t exchange Christmas cards that year. All in all, I give my client credit for sharing my vision as to what this property could become as he and his family and friends did not see many deer at all that year and did NOT harvest a deer in 2012. Add insult to injury, as another neighbor that had wholly committed to letting bucks walk shot a 3 point yearling the first morning of the gun season. Spring of 2013 rolled around and my client was very excited about establishing food plots. I did explain that I strongly felt we could change the habits of the deer in the area by focusing on food plots that would provide food 24/7/365. Remember, water was not an issue and I knew that the logging that took place was going to almost totally cover the lack of bedding/cover. During that Spring 50% of the plots that went in were either TROPHY CLOVER MIX or GAME CHANGER CLOVER. Game Changer was in it’s experimental stages during that time and was a nice addition in areas with poorer soil quality. All plots that had a pH over 6.0 and received enough lime to bring the pH to a 7.0 were planted in TROPHY CLOVER MIX and all plots that had a pH below 6.0 received enough lime to raise the pH to a 7.0 and were planted in GAME CHANGER CLOVER. These 2 seed mixes would be the backbone of the nutrition program that we would implement. Having a year round food source like our clover mixes is critical to the overall health of your resident deer herd. With healthy soil conditions 1 acre of our clover mixes can create 10 tons of 30%+ protein and help maximize herd health and antler/body growth. The remaining 50% of the plots were planted later in the summer of 2013 with LIGHTS OUT, HONEY HOLE, SLAM DUNK, and FALL/WINTER/SPRING. These mixes would provide the high energy and nutrient rich food sources needed for Fall and Winter. The 2 clover mixes would provide the whole deer family the nutrients they needed Spring, Summer, and Fall for antler growth and body growth. The 4 Fall mixes planted later in the summer would provide food for the deer herd during the Fall and Winter months, thus connecting all the dots to ALWAYS have food available 24/7 365. Stay tuned for parts 2 and 3 of “The Journey…From Beginning to End” to watch as this property takes shape and becomes a whitetail heaven. These same practices can easily be utilized on your property whether it’s 5 acres or 5,000 acres to create your own trophy deer habitat. Todd Stittleburg l Owner/Founder l Antler King Trophy Products, Inc. I am planting a food plot using your products this spring. I have purchased the jolt and plot max my question is can I mix them together and apply at the same time? Thanks for any help you can be. Yes Bradly, they can be mixed together and applied at the same time. However, you can apply Plot Max at ANY TIME…whereas you need to wait for plants to germinate and be at least 2-3″ tall before applying Jolt, as Jolt is absorbed through the leaves and stem of the plants. Thanks for choosing Antler King!